It was with great interest that I read Mayor Rilling’s letter titled “Building purchase will lead to a community center for all,” where the Mayor discussed the role the GGP money has played in the purchase of half of 98 South Main Street, formerly also home to NEON. While there is still some controversy about whether GGP should have been allowed to remove the mixed use requirement for the mall project, decisions were made resulting in a $3.5 million dollar payment to Norwalk. The time has come right now for a public and detailed discussion to take place about how that money should be distributed and the decision making process that must take place to assure citizens that plans for its use will take place in public, not behind closed doors with select voices heard. As a new member of the Council for District B, I ask for your support to assure that an open and thorough discussion will take place as soon as possible, including a public session where the public can offer ideas before any more of that money is spent. The writer represents District B, which includes much of South Norwalk, on the Common Council. A casino in Bridgeport would ensure Norwalk hotel would of worked. My point was Brookfield is now worth about 40 billion , they are from Canada and Bernuda is where their tax shelter lies. This was known well before the sale as our Mayor and legal team along with the RDA decided Norwalk didn’t need a hotel jobs and tax from it. Stantec has been paid huge amounts in Norwalk for work, made the taxpayers work real hard to gather facts so Brookfield can have those facts to pass to Brookfield one of their largest customers for a size up of Norwalk. I feel we were played by city hall , Stantec and Brookfield. Now that the mall will drain the city retain those businesses that make money and place them at the mall what becomes of wall st Sono Ct ave and Westport ave? Fowler Spinnaker and many more Norwalk choice vendors probably know. With Free parking at the new lifestyle mall all plans and bets are off. Like no one knew the day GGP did purchase the land this would be the case. Larry the siding salesman sold the mall to the city Harry made sure the city was prepared, the other city not the one taxpayers lived in. Earnie is spot on but the money Norwalk got has priorities once the mall opens police fire ems and dew along with every dent in city hall needs to grow some by at least 25 percent and where the poor mall owners got a break full taxes don’t flow into Norwalk for how long? Now what is the money for ? Not foe south Norwalk its for everything we needed before the mall broke around. Support Earnie his thoughts his facts have always been pro Norwalk and still is The city was short changed and this is going to effect the entire city where neglect and disrespect has increased against every taxpayer resident or organization that exists in the city. The taxpayers need a lawyer the city is run by them we don’t have anyone in our court maybe its time a lawyer helps out the underdogs . 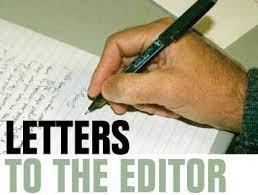 Mayor Rilling wrote recently in a letter to the Hour that the SoNo center would not be possible with the GGP payment. In a City with almost a $400 million budget that raises questions. As does waiting 6 years to replace the Y. Election time maybe ? I absolutely support every aspect of Ernie’s idea. How would this work: “The taxpayers need a lawyer the city is run by them we don’t have anyone in our court maybe its time a lawyer helps out the underdogs.”? I really think I could get behind this idea. Right On Point Ernest Dumas ! Reduce tax burden today and in the future by using it as a down payment on our school capital plan. No pork for anymore or any group. Reduce the tax burden. Don’t increase spending. First Ernie should be given every opportunity to secure contracts to support employment of those who are being devastated in the 140. Second Ernie should be granted some latitude for directing funds I believe toward the Citizens for Justice which has done an excellent job in opposition research in a positive sense. The community around Ryan Park has been getting inundated with extremely serious consequences due to the mishandling of the environmental issues. Residents can’t complain to the City for fear of retaliation under the current Housing Authority. the voucher system has been used to intimidate thse who have suffered longterm exposure to hazards. There is a compelling case to be made for Ernie Dumas and the impact he could have if the other fools did their job. The Latin Americans are regrouping and want to compete for the available labor. I suggest Camacho, McCann, and Coppola move 500 miles east. The GGP money should not be Pay for Play. Keep the attorneys out.